This State Library of South Australia guide highlights resources available at the Library as well as various databases and websites that may assist your search for ancestors in Europe and the Mediterranean. The information on this page concentrates on how to locate family history related records and information in Switzerland. To trace family arriving in South Australia try our guide to immigration. If family arrived in Australia after 1940 passenger lists may be found at National Archives, as passenger lists came under Federal jurisdiction after 1940. Please note that these websites are not arranged in any particular order and some may not be available in English. On 26 March 2014 the Staatsarchiv of Canton Appenzell Ausserrhoden has installed on the internet the entire existing Cantonal Church Book collection – the first archive in eastern Switzerland to do so. It consists of 159 books which incorporates approximately 50,000 separate pieces of data, dating between 1522 and 1875. Documentation of more than 50,000 individuals of some 300 families of the Bern City (Switzerland) from 16th to 19th century with respective indices. Documentation of more than 25,000 individuals of some 150 families of Frutigen Town (Canton of Bern - Switzerland) from 16th to 18th century with respective indices. Information about over 16,000 individuals from the towns of Sonogno and Frasco and surrounding area in the canton of Ticino, Switzerland, a region from which many Italian-Swiss immigrants hailed. This is periodical published locally in the Onsernone Valley, Ticino, Switzerland. Towns include Loco, Mosogno, Russo, Crana, Comologno, Spruga, Vergeletto, Gresso. Archives from 1972-2012 are viewable online. It took a number of issues to really get going, but once it did, excellent. This is an outstanding publication. Besides current events, there are obituaries, historical biographies, discussions of parish records and surnames, culture, geography, and more. Here are some suggested links that may be helpful. 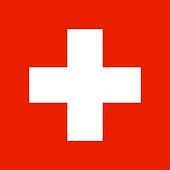 For a more general listing of Swiss related material within our collection click here. Are you unable to come into the State Library of South Australia to undertake your research? You may like to consider using our Ask Us service.